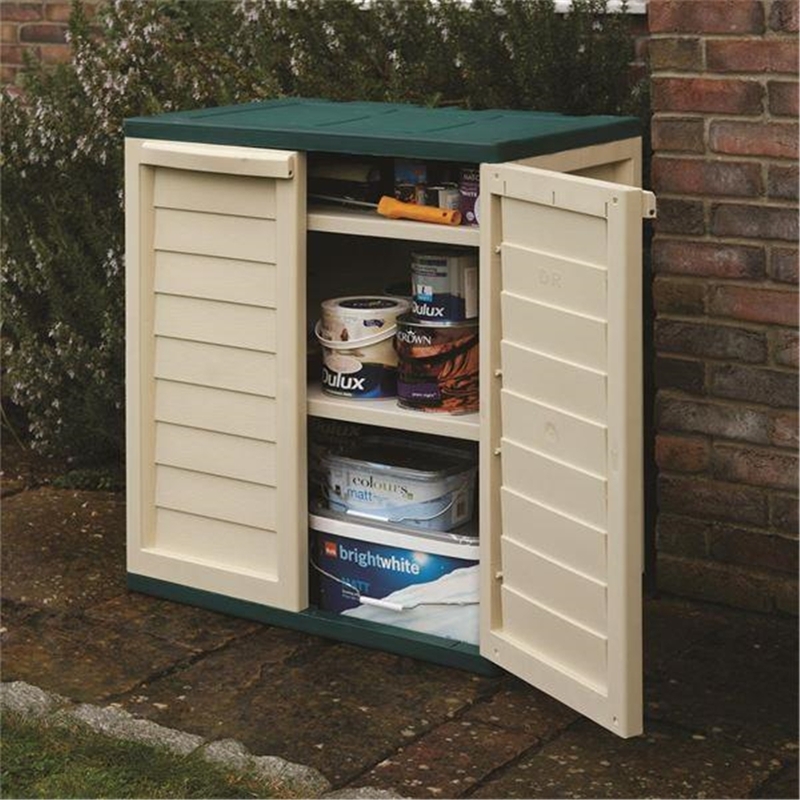 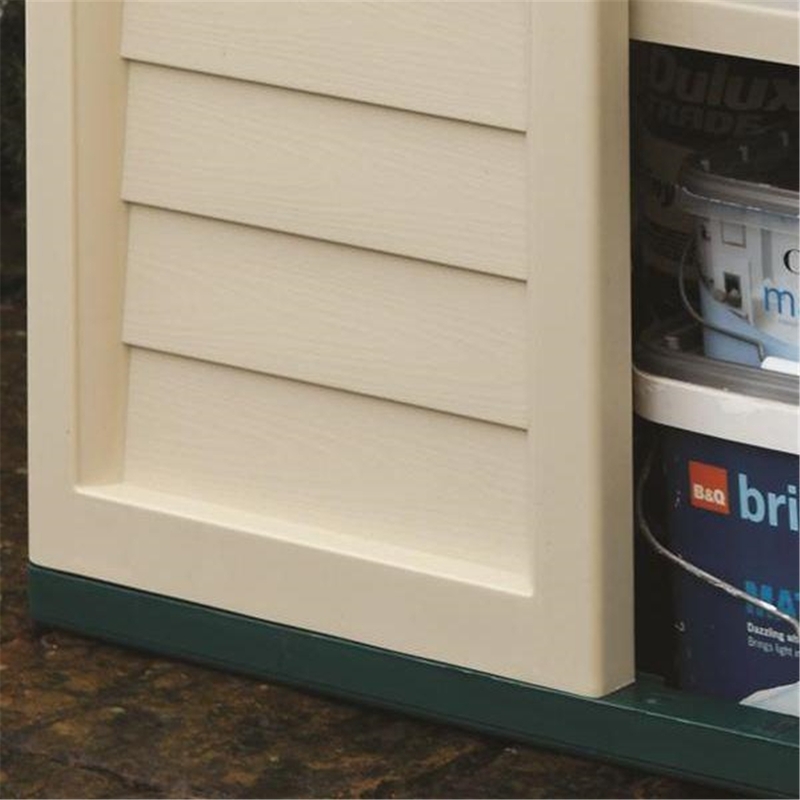 This 2'5" x 1'7" Plastic Utility Cabinet is ideal for storing your garden tools. 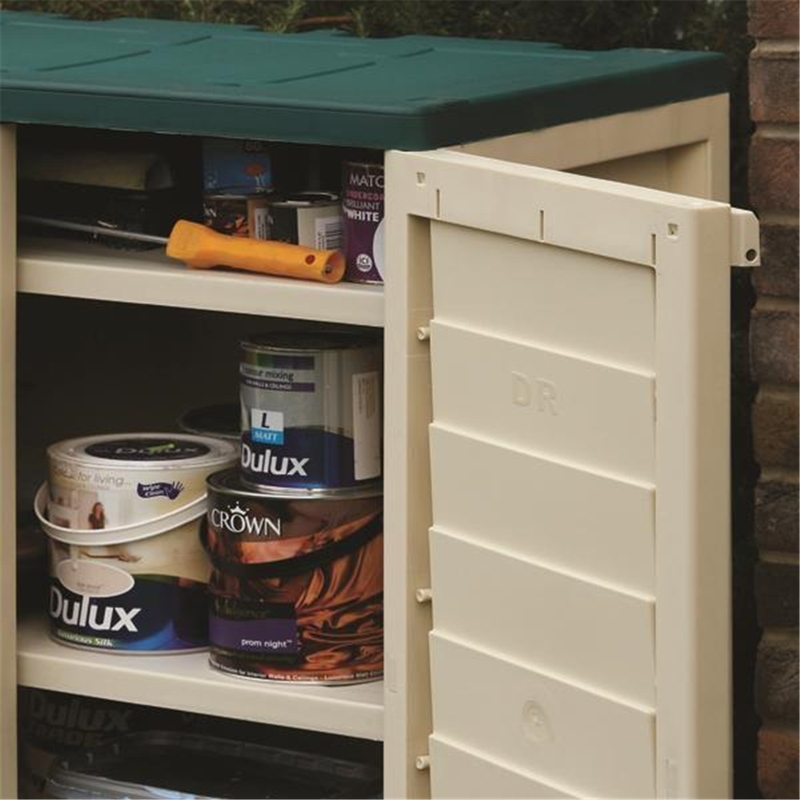 Its lockable double doors (padlock not included) ensures that its contents remain safe and its strong walls and floor give the Utility Cabinet a sturdy feel. 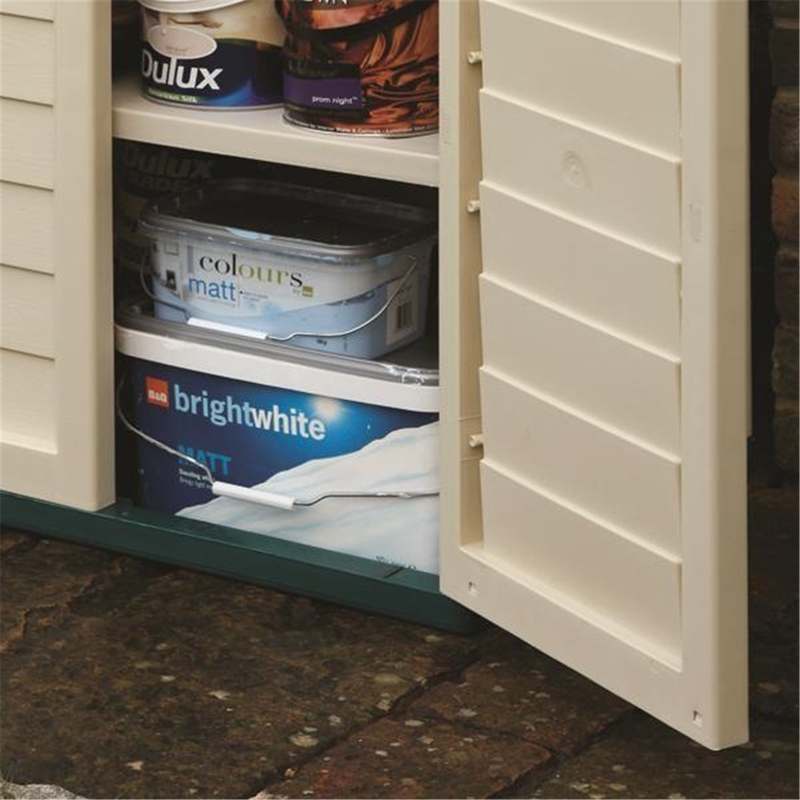 The two adjustable shelves allow for ease of storage.